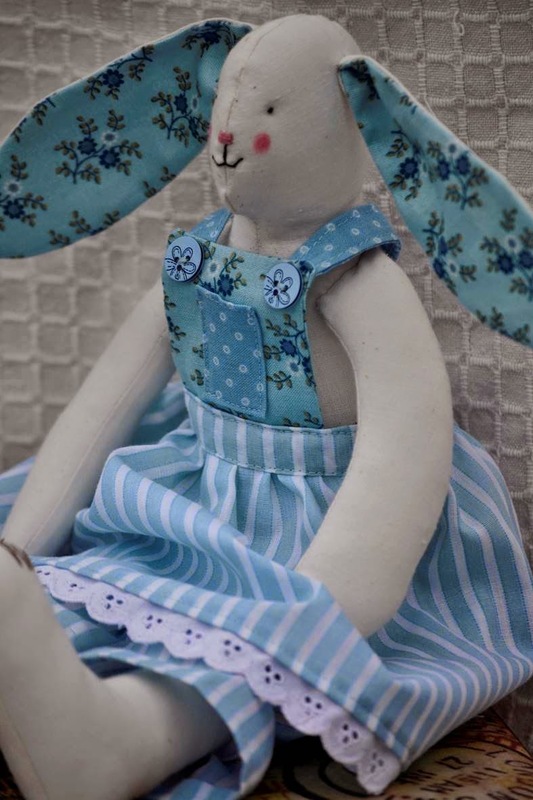 This rabbit has a certain vintage charm which is quite striking and her clothes are perfectly suited to her as well. I had such a lovely time designing and creating on my sewing machine and I am so happy with how she turned out! 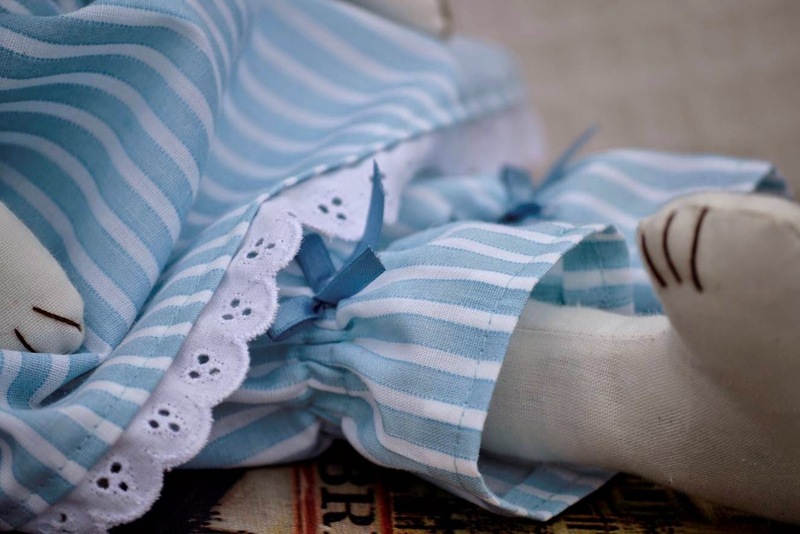 Of course I must also say a thank you to my very dear mother, who not only encouraged me to make Miss Lettice her adorable pantaloons, but also assisted me with making changes to patterns, etc. And to my kind younger sisters who were more than willing to share their opinions and ideas for improvements with me…they have each requested one, but I’m not so sure I can have five made in time for Easter to gift all of them with! 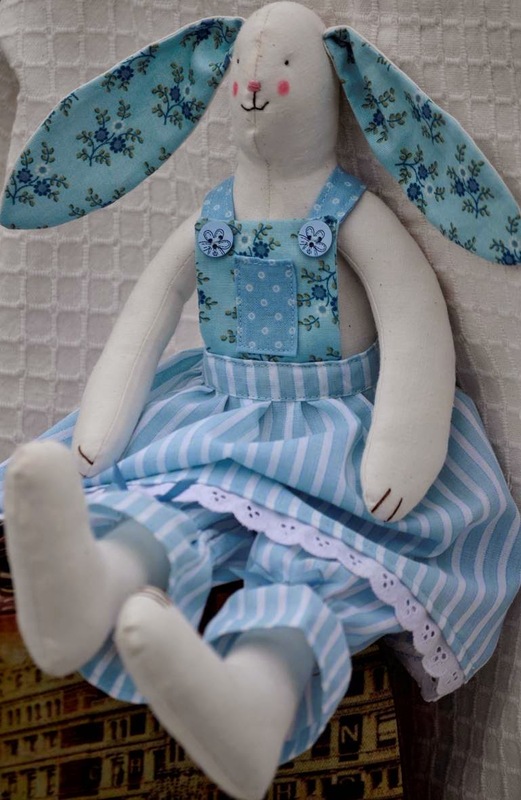 She is 100% handmade with love and created with the utmost attention to detail. 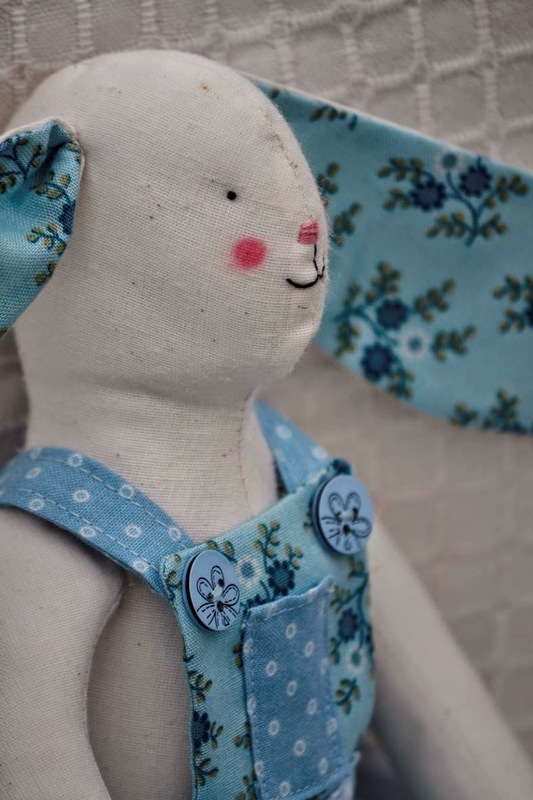 I embroidered her simple face with tiny stitches and gave her claws on her dear little paws… Of course I just had to give her pink cheeks with a touch of blush, too! 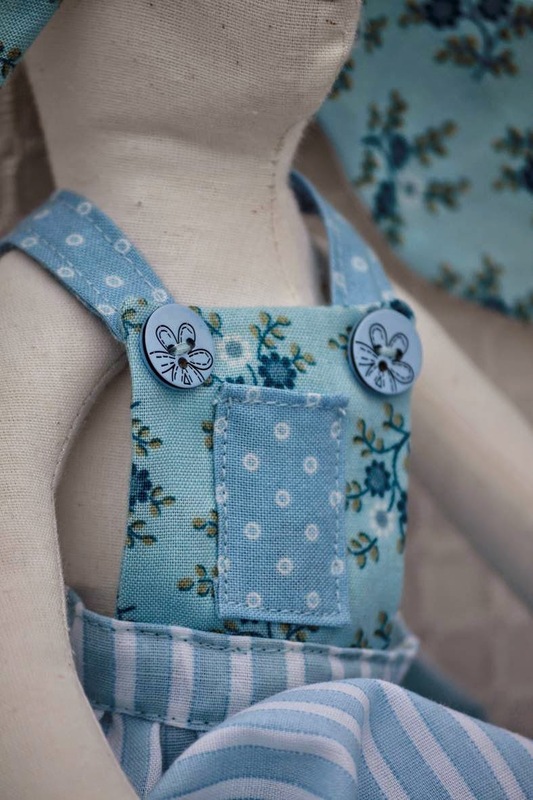 I added a teeny little pocket to the front bodice piece and adorable blue buttons to keep the straps in place…Did I ever mention how much I love buttons…? 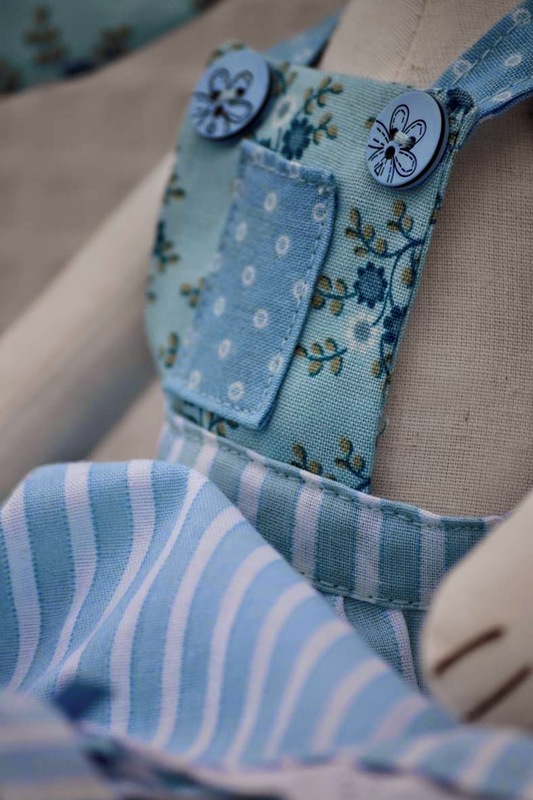 I love these delightful blue fabrics - they are so soft and beautiful to look at!